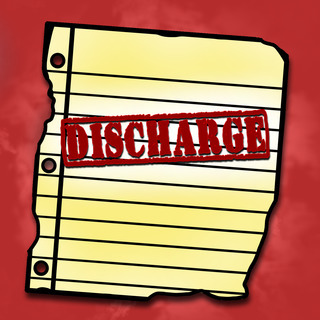 Discharge instructions are an oft neglected but critical part of the ED visit. Matt Delaney gives three high yield pearls on how to improve the process to protect both you and the patient. It seems problematic to me to write "verbal discharge instructions given" as CYA for inadequate written discharge instructions - even if that particular case was won. For best patient care, accurate recall for myself, and clarity for future providers I write it down. The nurse often d/c's the patient for me after going over my written instructions - if they are "inadequate", they need to get fixed so the patient has a piece of paper that's useful. I agree that the best patient care involves trying to give good, customized instructions for each patient, unfortunately in a lot of our systems that paper instructions we have access to can be really limited and difficult to modify. If you take the time to talk to the patient about the instructions, documenting your conversation in the chart can only help you down the road. ACE wrap, splint, crutches as needed for 7-10 days. Activity to allow brief, mild discomfort is ok. Elevate foot when at rest/sleeping. Ice 10-15 minutes per hour, as able for the next few days to reduce swelling. Ibuprofen 400 mg 3-4 times a day for pain. Rx Norco for pain as needed, no driving or dangerous activity while using. In 1-2 days start ankle range-of-motion, add resistance as able. If worse pain or not significantly improved in 7-10 days, recheck here or with PCP. I was trained, “if it's not documented it didn't happen” – which is a bit much, but would modify that statement to “if it's not documented, it's not important”. I would be cautious about encouraging the new docs to start building a practice style that uses verbal discharge instructions in place of cold black ink. Really enjoy EMRAP – keep it coming. I'm an RN. When I do discharge teaching with a patient I have started (in response to this episode of EM:RAP) making sure to highlight in yellow the patient's diagnosis, follow-up (with whom, time frame and contact phone number), new medications, home care and return precautions. My thought is that even if they don't remember what was said during discharge teaching they will at least have their eye drawn to the most important parts of the written instructions. We all know that instructions are almost never read, but my hope is that it will at least get them to review the important parts when they are at home. I put a note in the record starting something to the effect of "Discharge instructions were reviewed with the patient to include diagnosis, follow-up, medications, home care and return precautions. These sections were highlighted in the written instructions. The patient verbalizes understanding without questions or concerns." I make sure to include any additional information such as crutch teaching, splint care, questions answered, etc. My primary hope is that this will help the patient to retain the important information with the secondary intent of protection in cases of litigation.